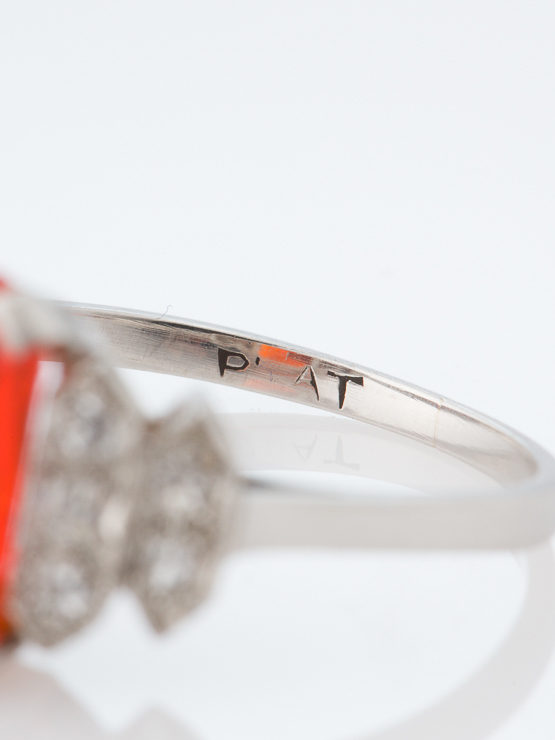 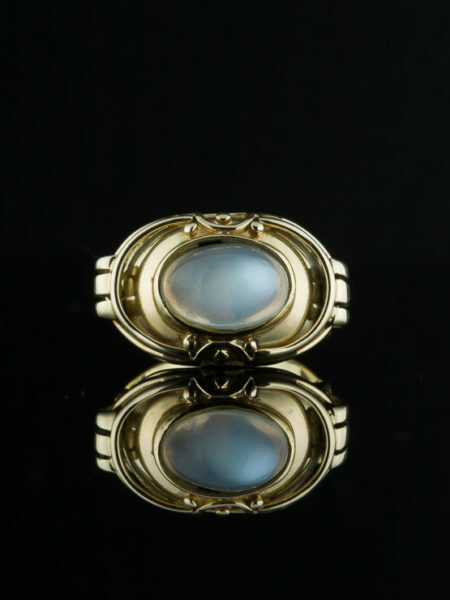 A symbol of fervent love in ancient times with magic properties,fire opal is a rare and unique gem. 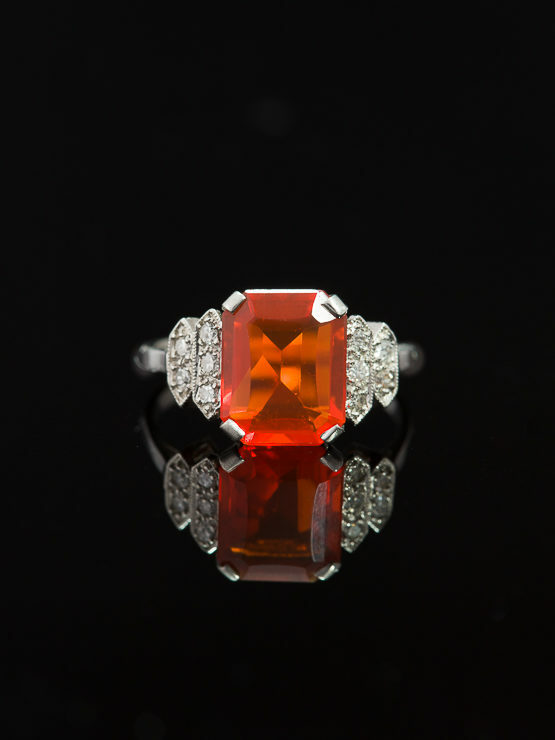 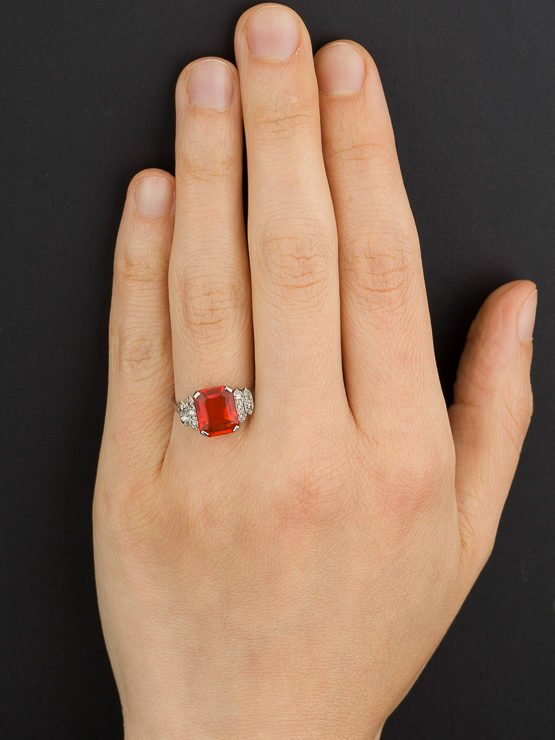 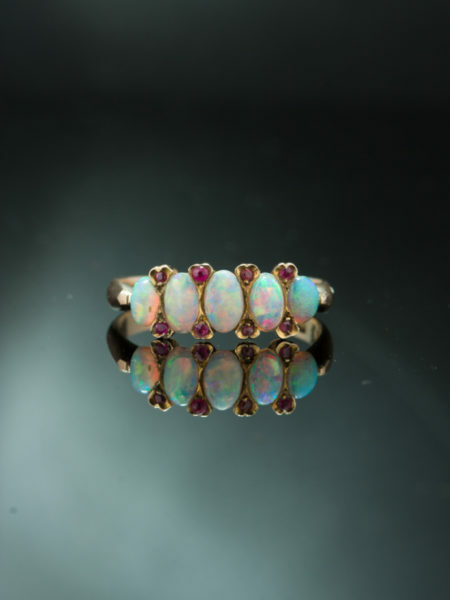 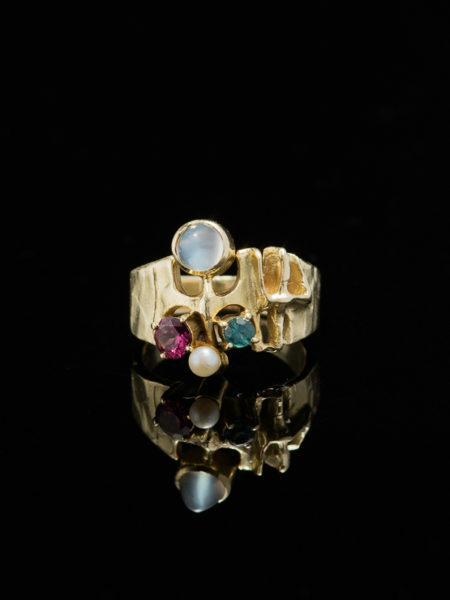 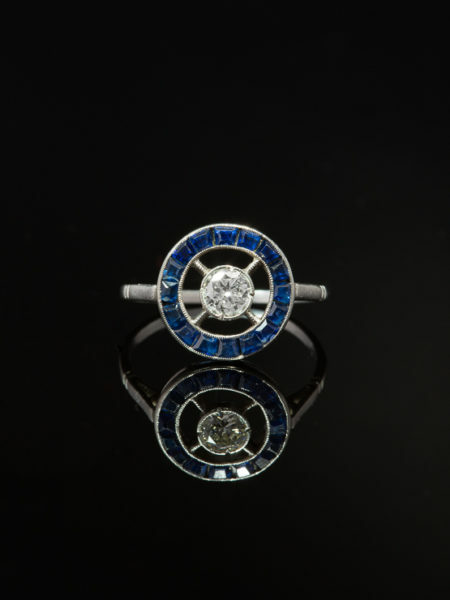 Impressive on the hand and gorgeous on the finger is this amazing fire opal and diamond platinum vintage ring from Art Deco era. 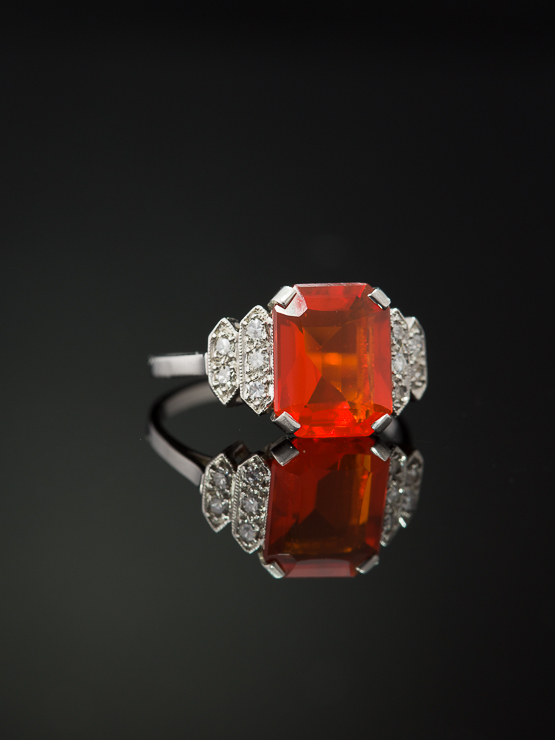 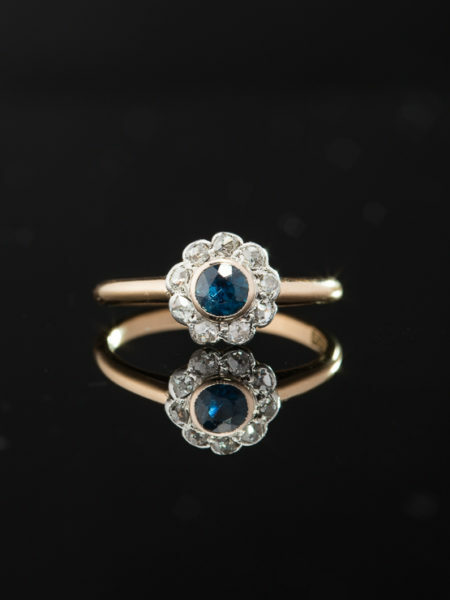 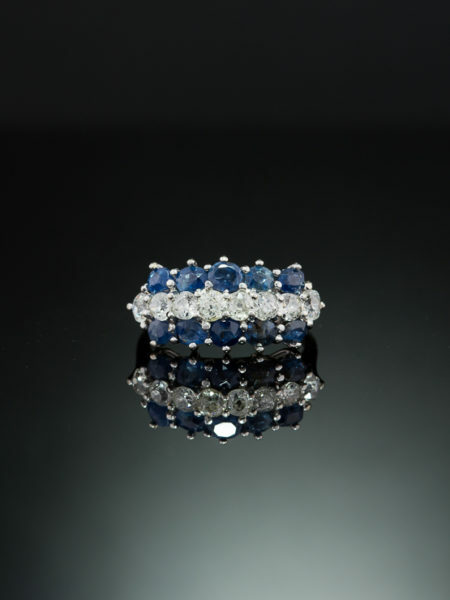 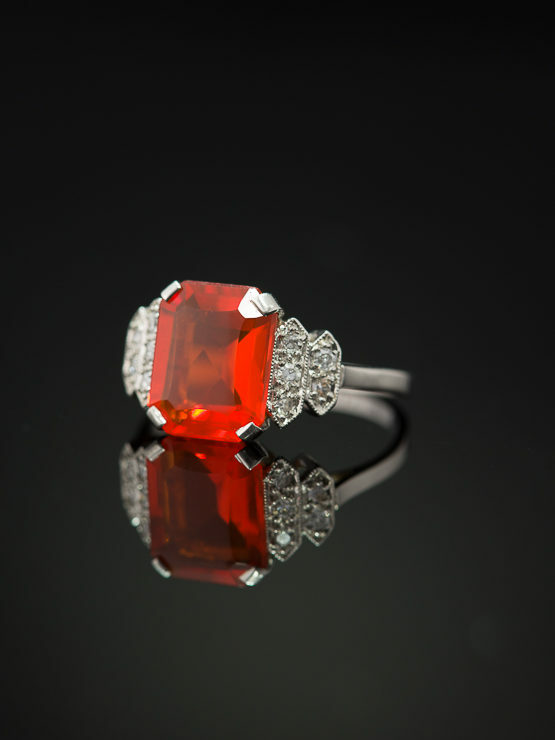 This ring announces its presence with the superb colour and clarity of the gem radiating with a balze of fiery colour beautifully contraste by icy diamond and platinum. 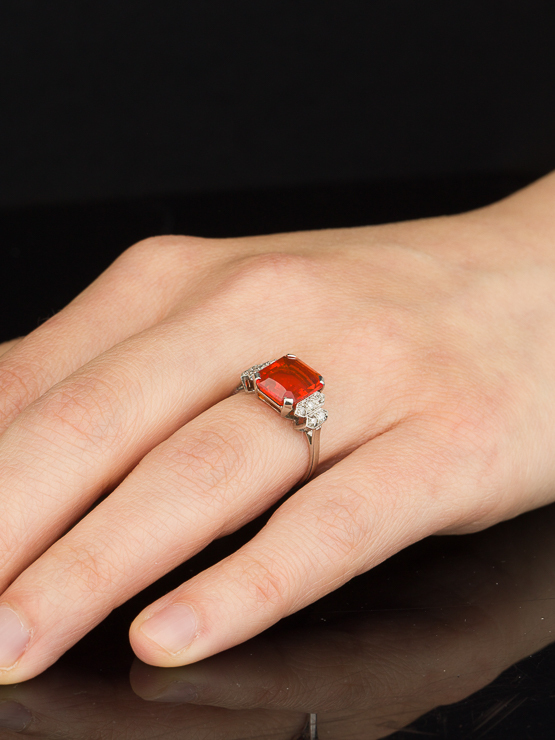 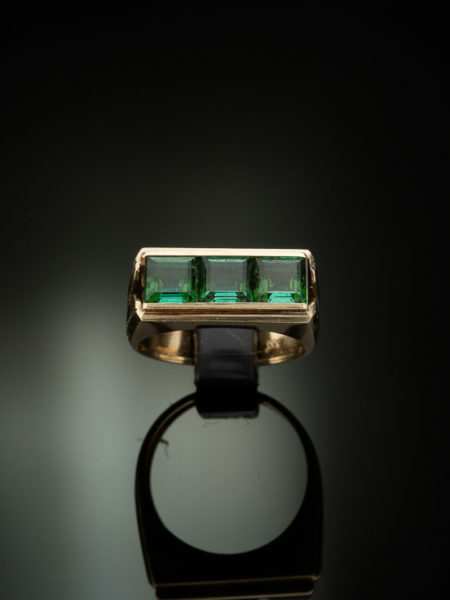 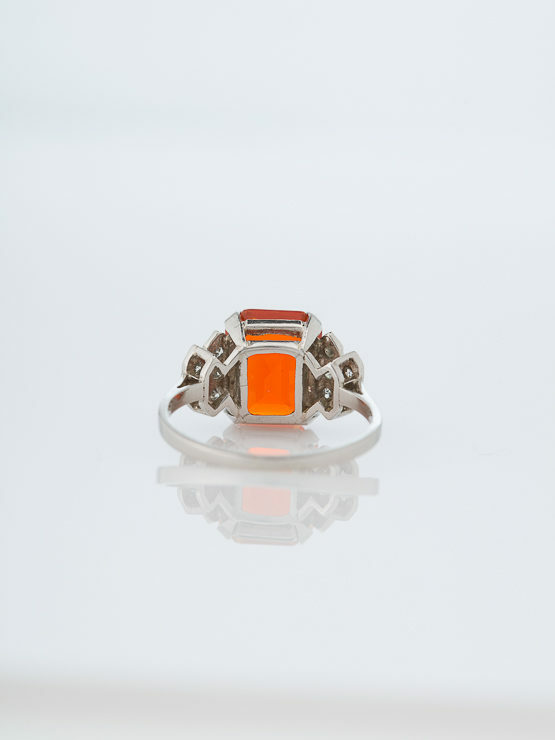 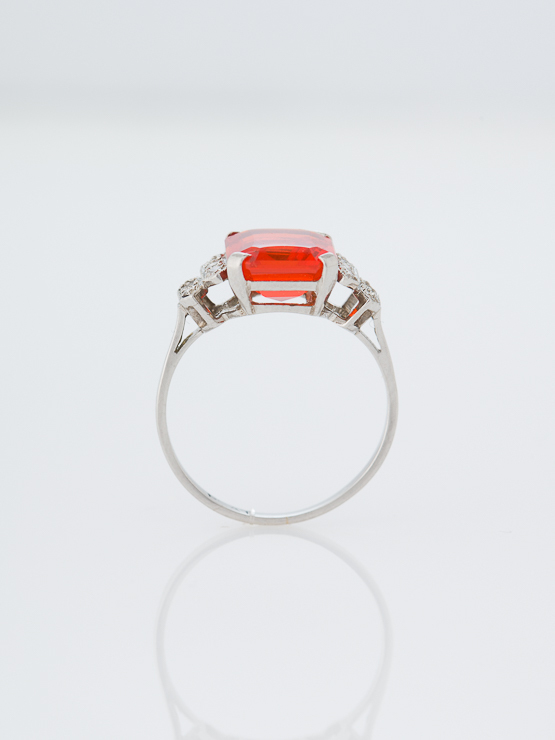 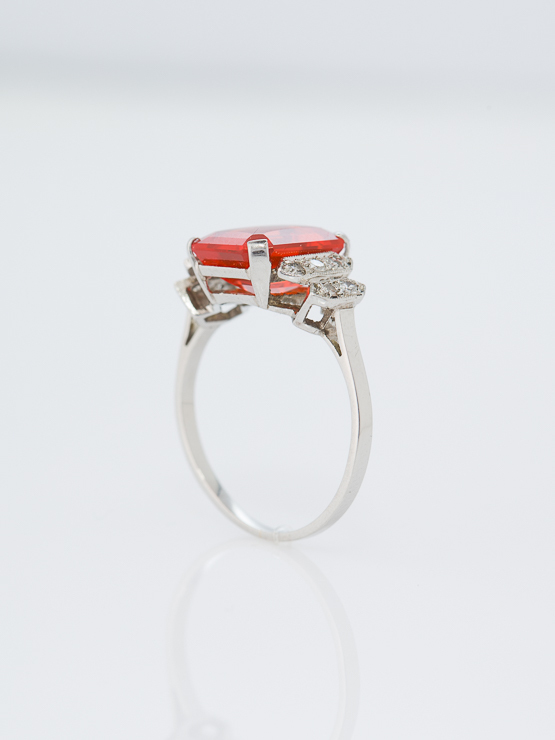 Centering is gorgeous emerald cut transulcent fire opal of approx 2.40 Ct glowing with a beguilling deep vivid orange kissed by vibrant red hue. 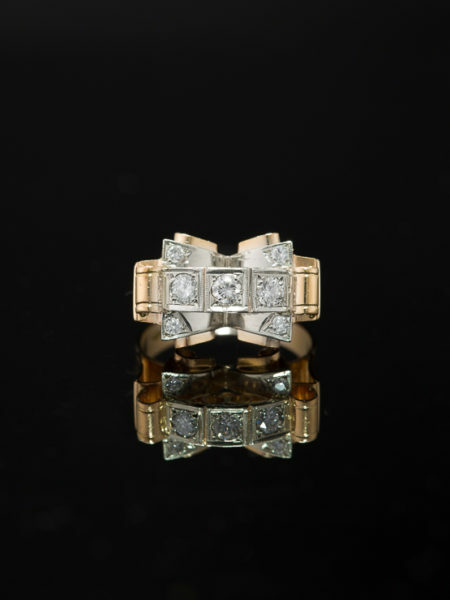 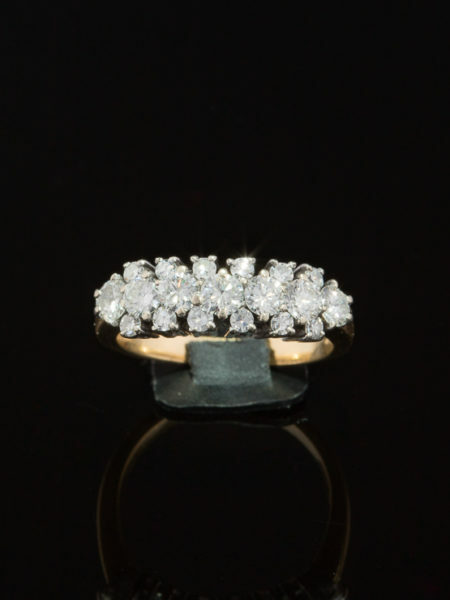 Flanked by 10 old cut diamonds in a sophisticated step conformation (five for each side) totaling approx .35 Ct, the perfect sparkly counterpart for this fiery gem. 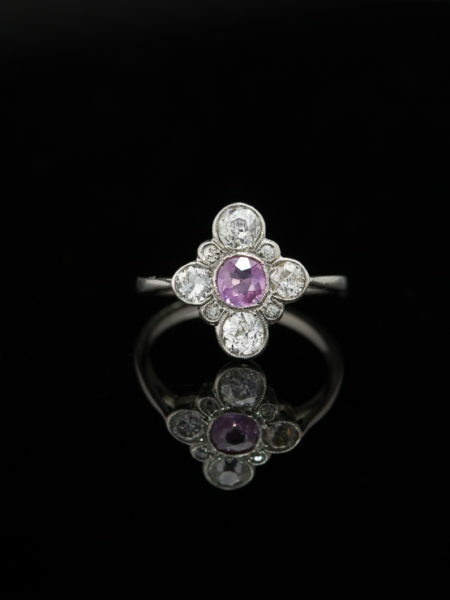 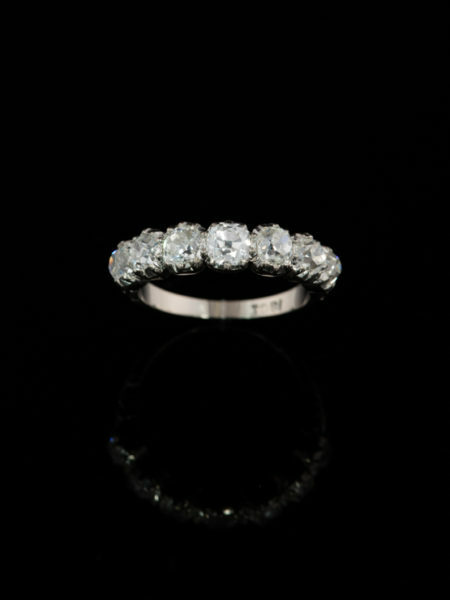 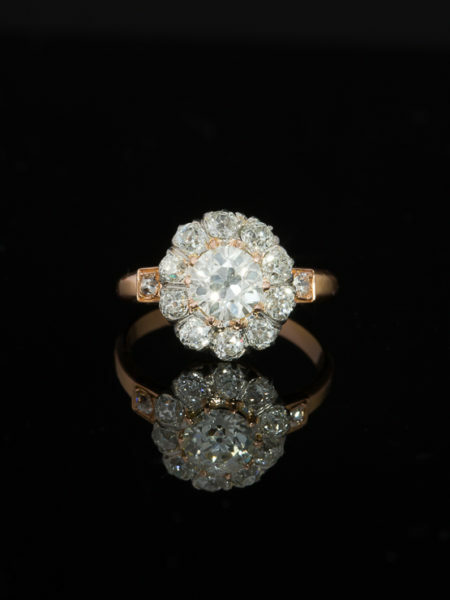 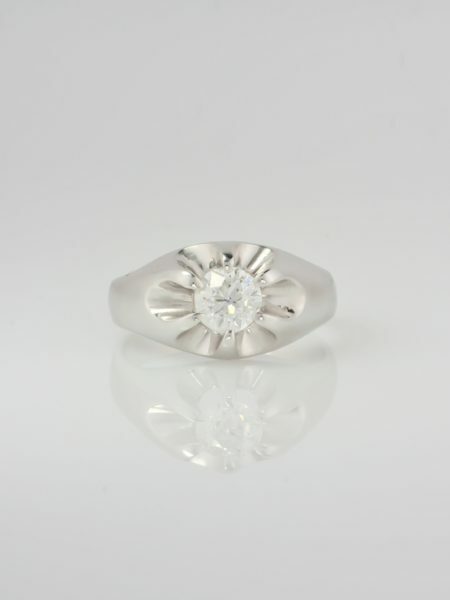 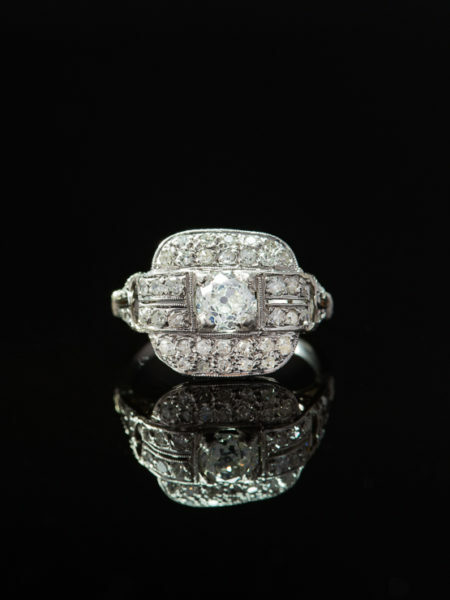 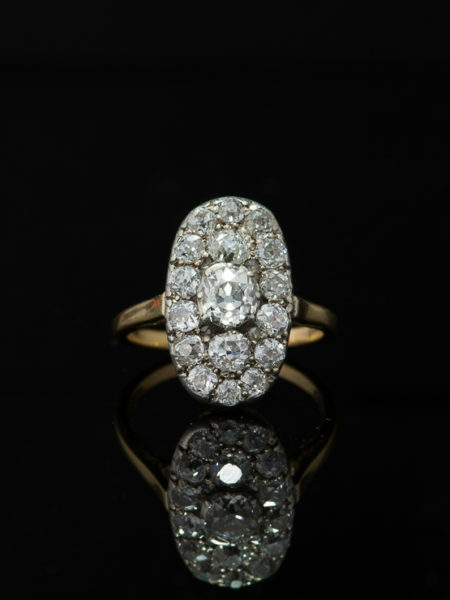 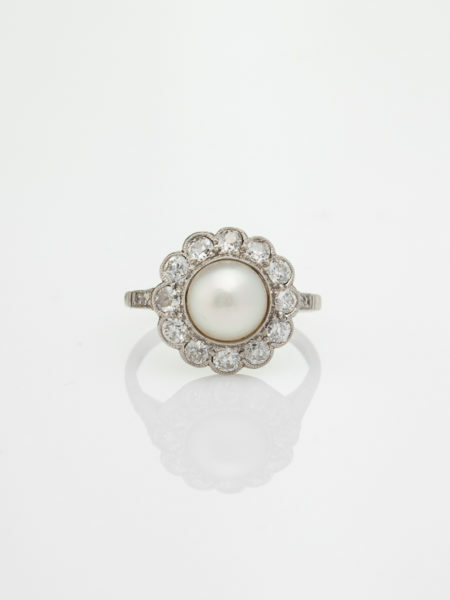 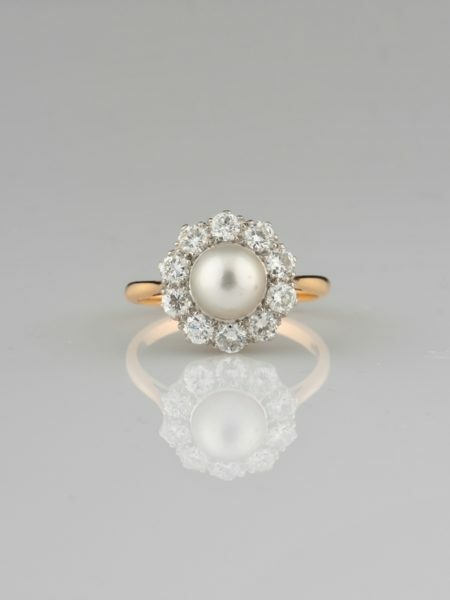 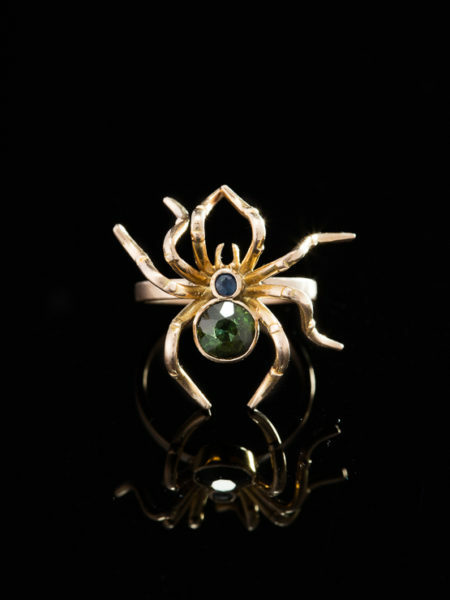 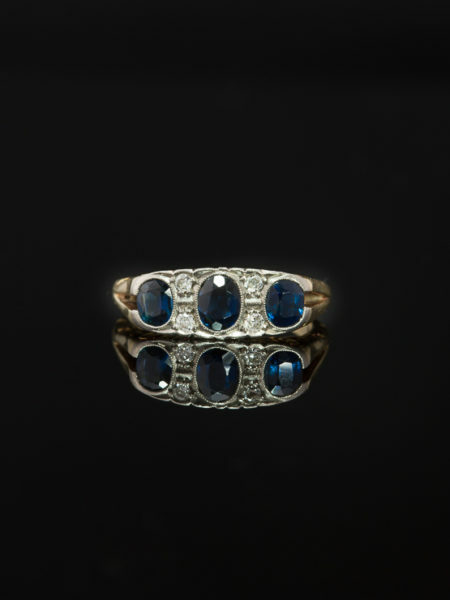 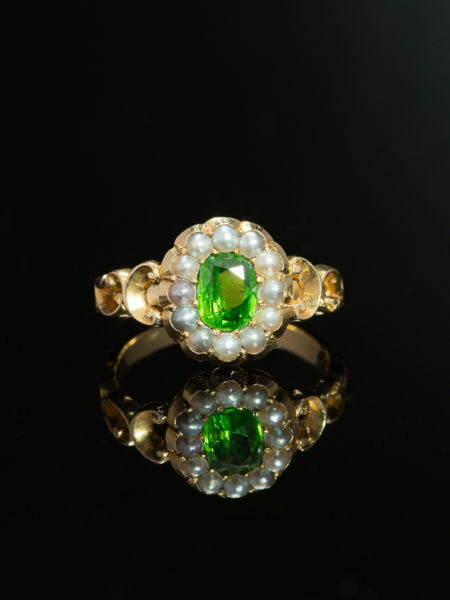 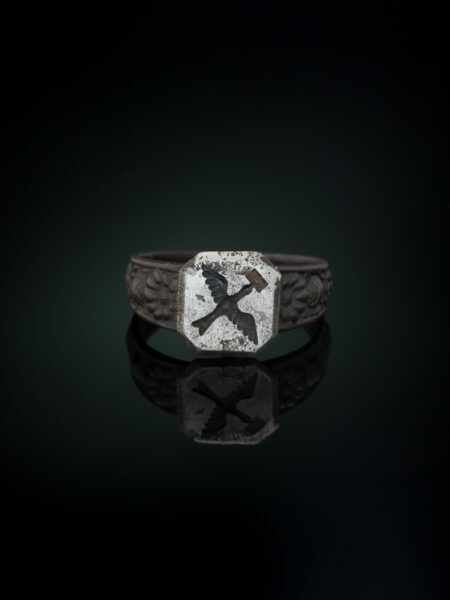 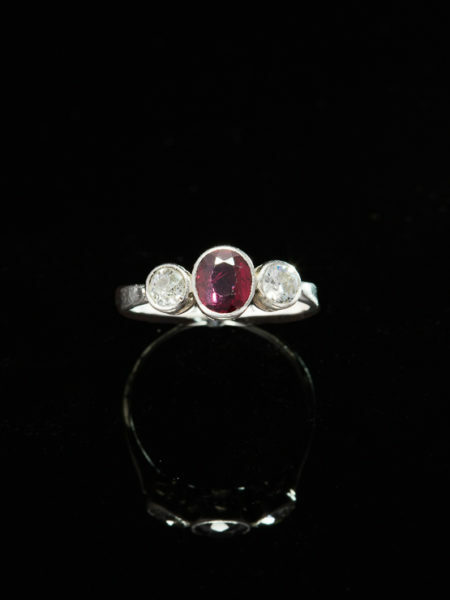 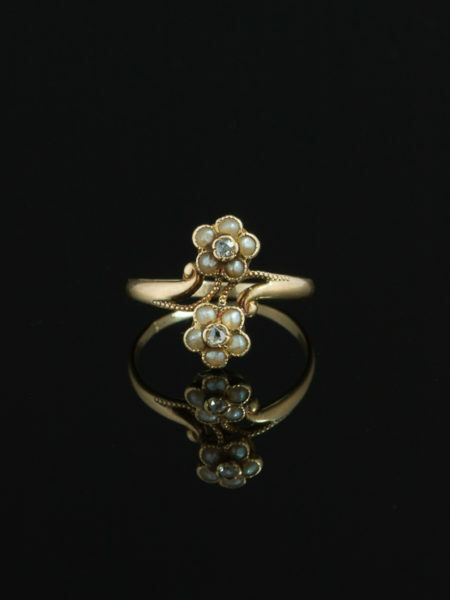 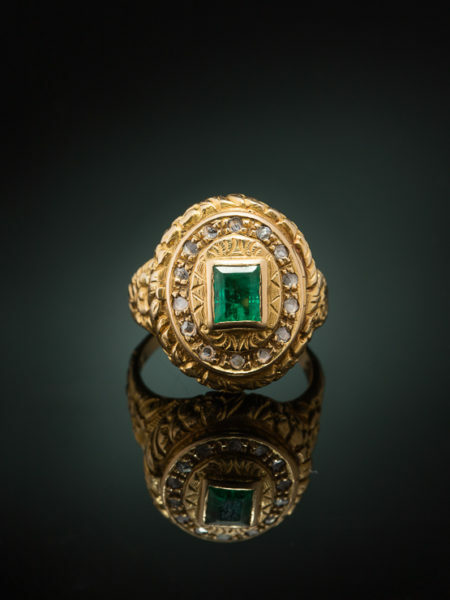 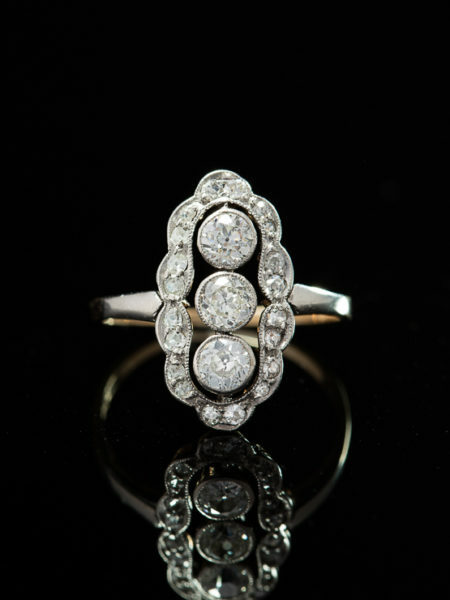 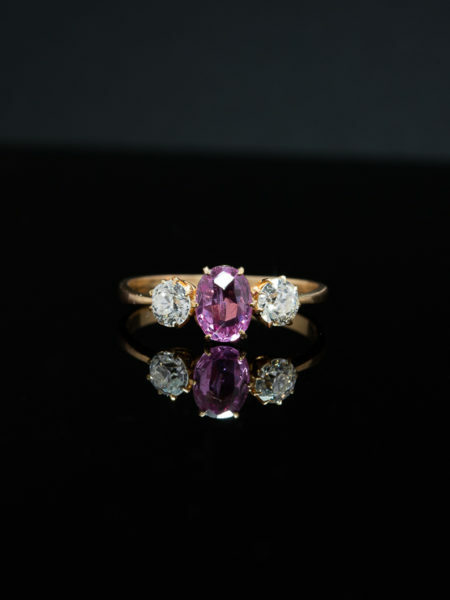 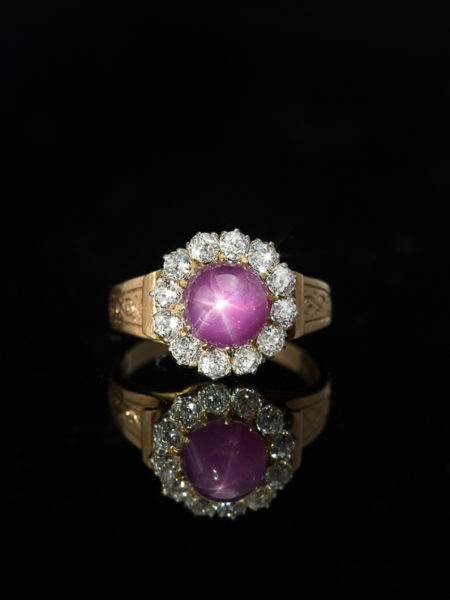 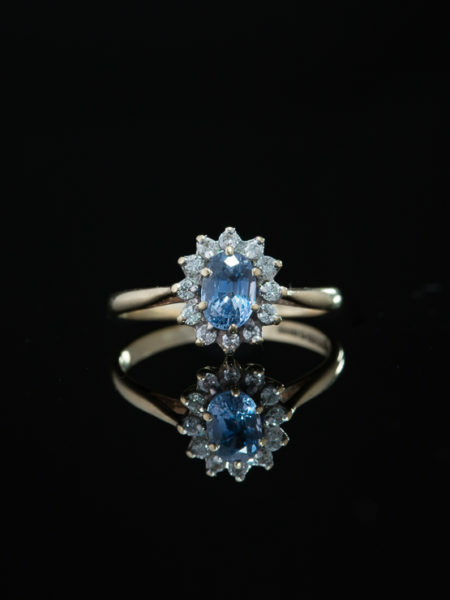 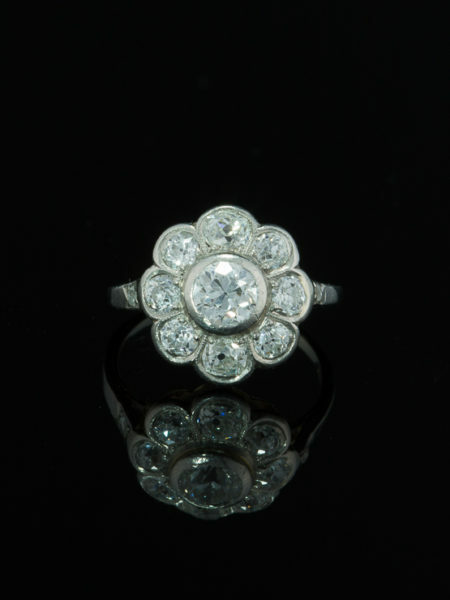 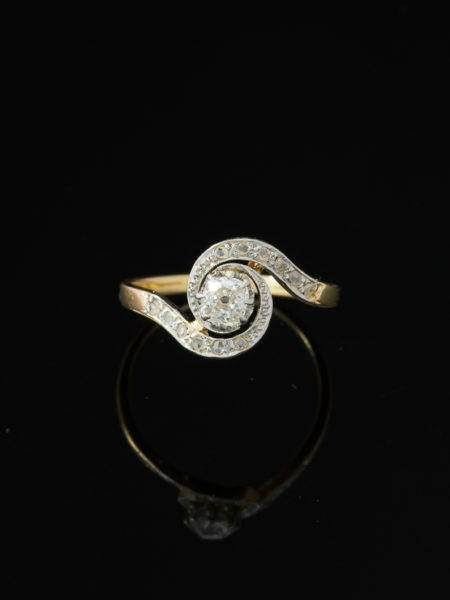 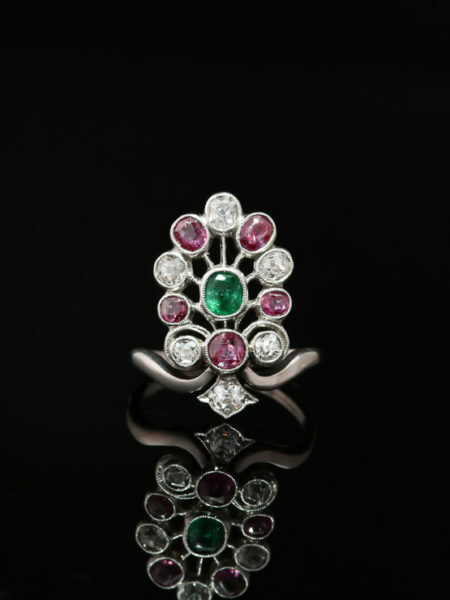 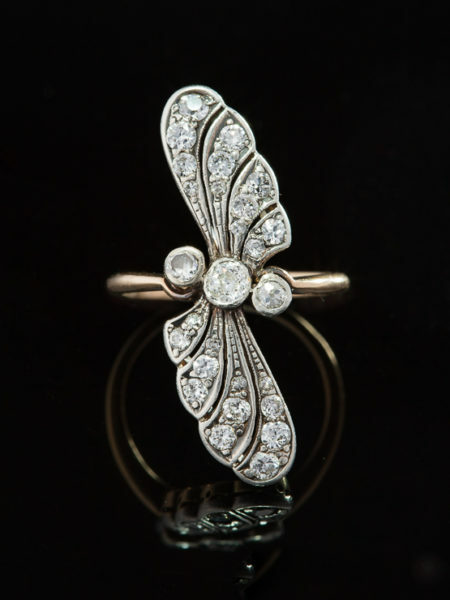 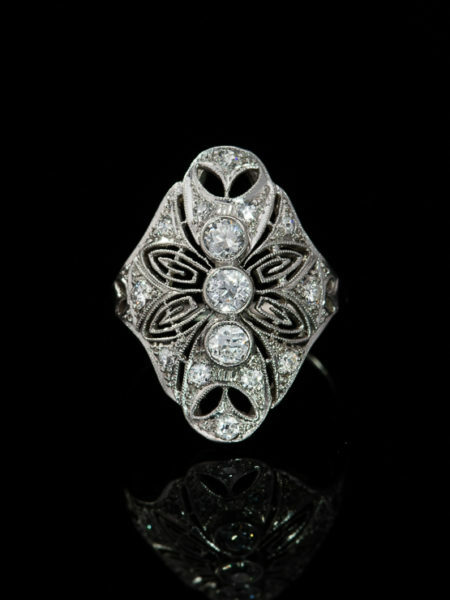 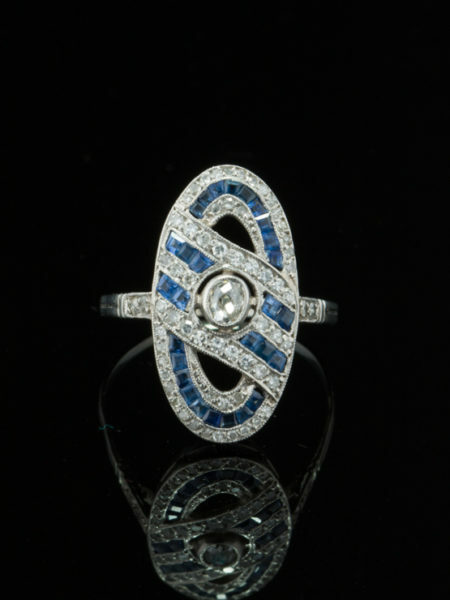 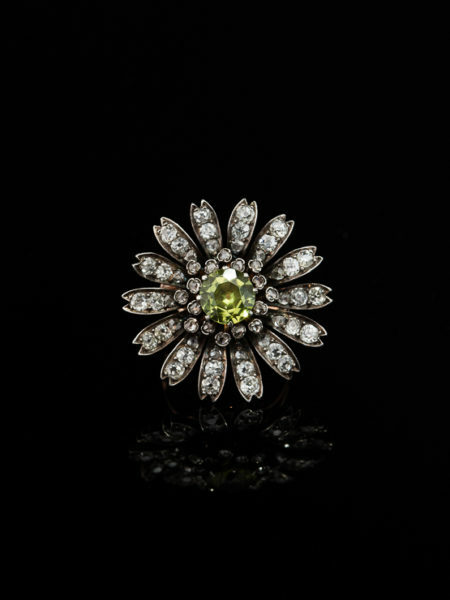 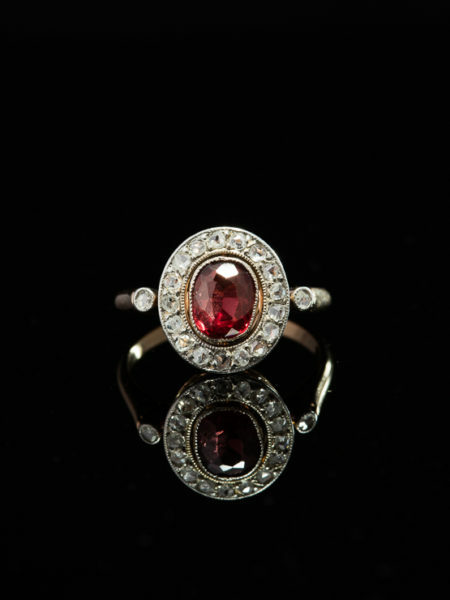 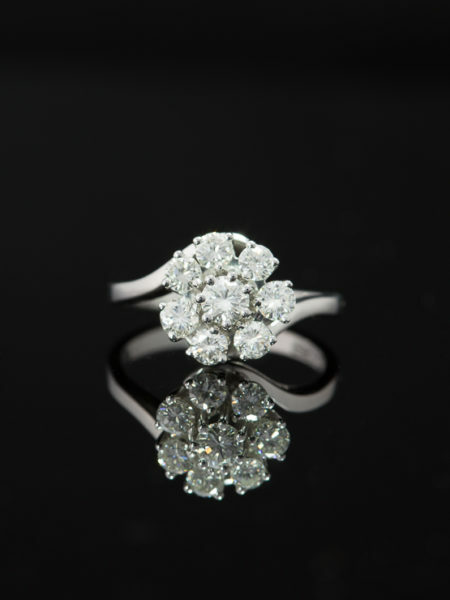 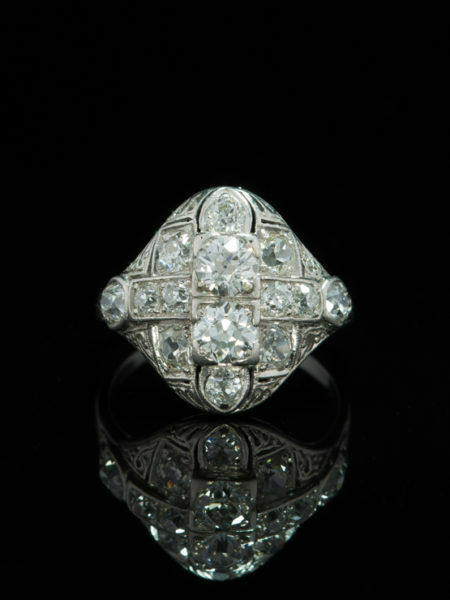 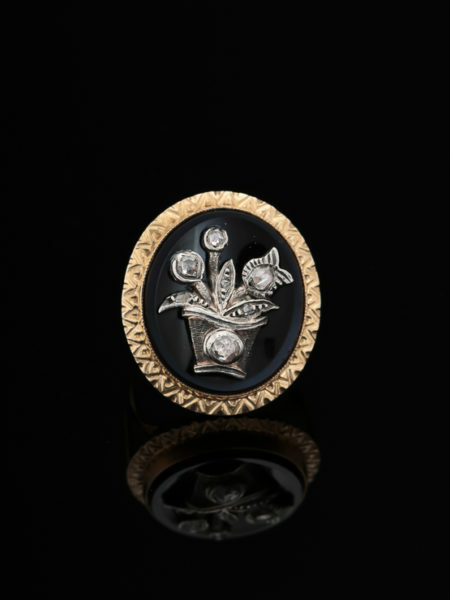 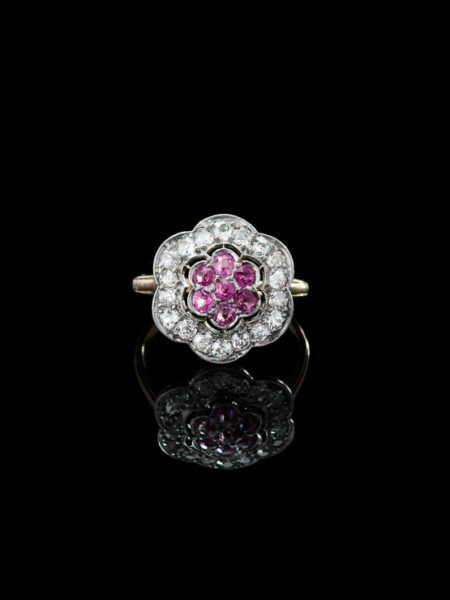 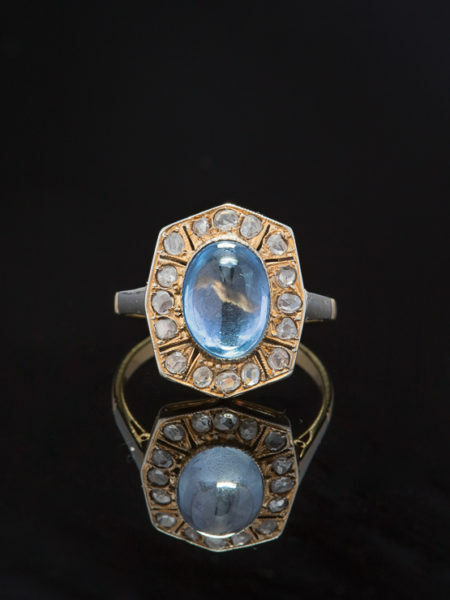 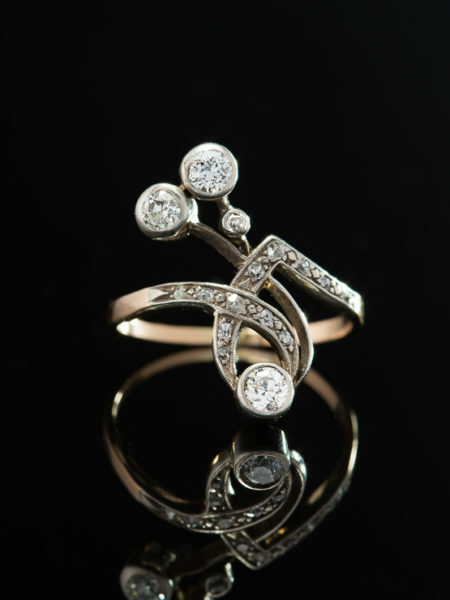 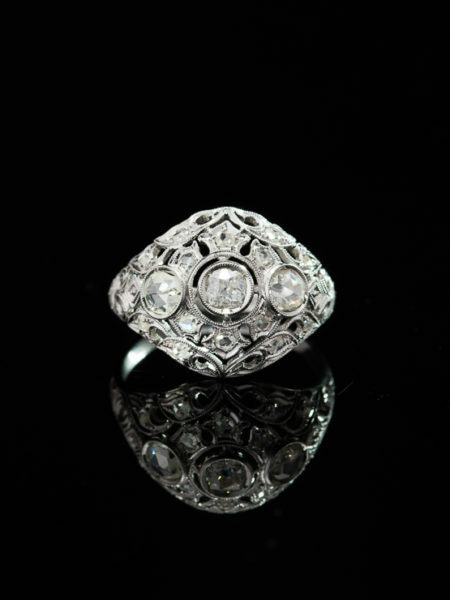 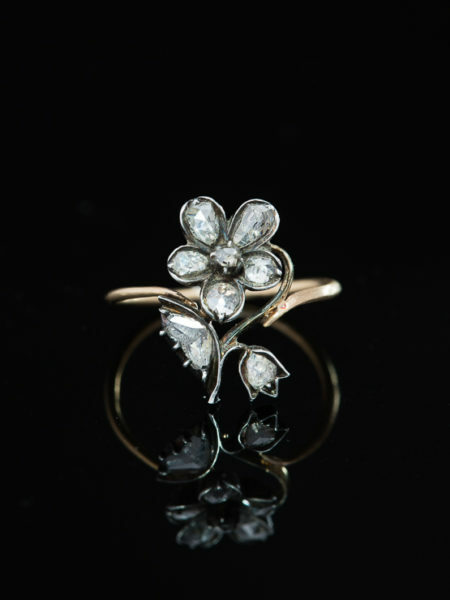 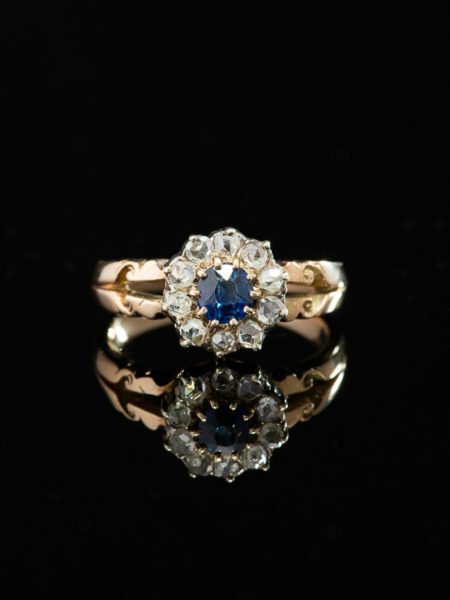 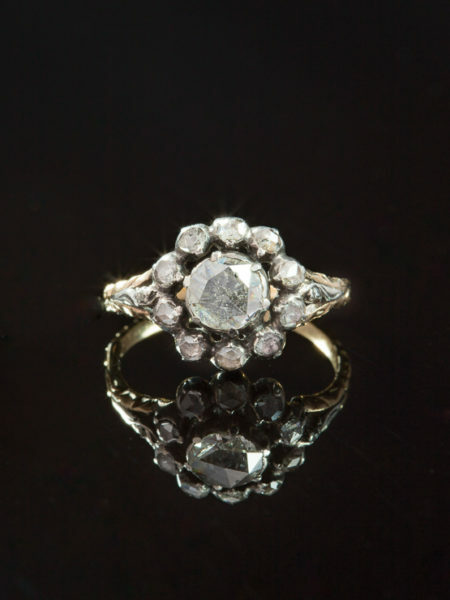 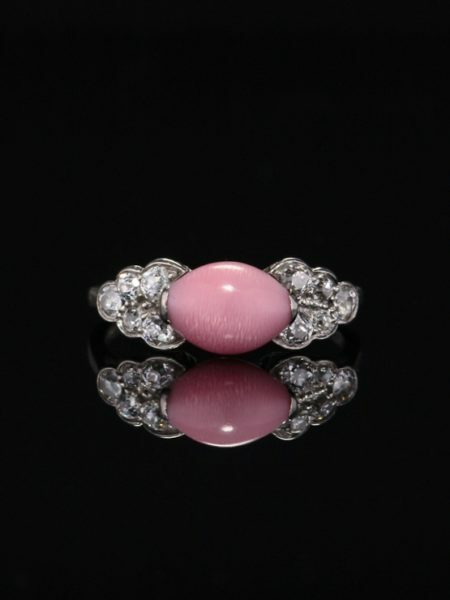 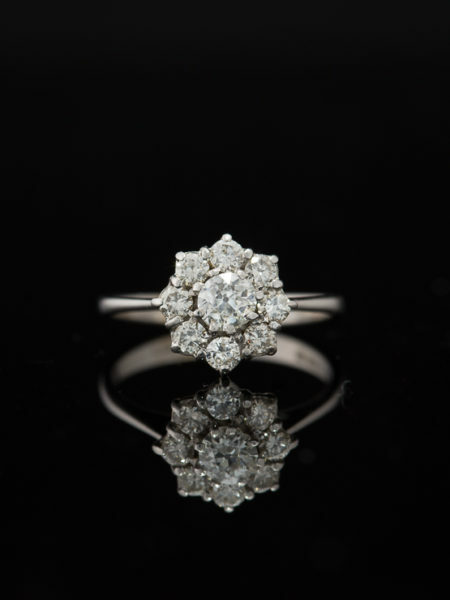 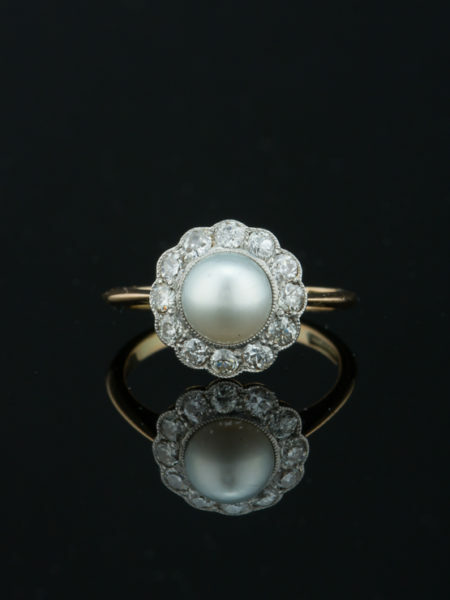 Artfully crafted in platinum by a master goldsmith during Art Deco era, marked.